It’s hard to believe that another year is passing tonight. Seems like hardly yesterday we were waiting for the new millennium and now we are moving into the year 2019 tonight. Thank you for reading my blog, consider visiting my website. Jill from a summertime photo. Thinking about summer? You bet, even in Florida it can turn cold. But the jeep is fun to drive anytime, well, almost anytime! A pinup shot of Jill. Jill poses in a WW2 bathing suit. Pinup girls were very popular during WW2. Pin-Up Girl: Army Air Force You can buy a pinup today! Army Jill salutes the troops wherever they may as this year comes to a close. She hopes that all will have a successful New Year and that they will be able to come home safe and victorious. 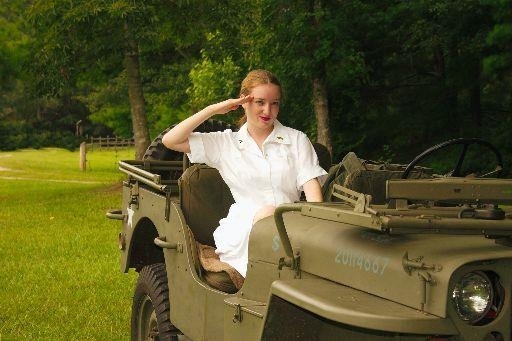 Check out 42FordGPW.com for more WW2 jeep and related information. Which way do the CV joint seals face? Comments Off on Which way do the CV joint seals face? Don’t keep Jill waiting while you figure out where the grease seals go! Dear Half-Mast, I’d like to know the proper way to install the outer grease retainer on a jeep—the one right behind the CV joint. Is the retainer put there to hold the grease in the differential or to keep the grease in the CV joint? In other words, does the lip of the retainer face in, or out toward the joint? I’ve seen them. installed both ways and would like to know the right way. Dear Mr. B., That oil seal (grease retainer) in back of the CV joints on jeep front axles oughta be installed with the lip facing the joint—it’ll hold the grease in the joint better that way. It won’t affect the differential anyhow since the differential has its own seals in each side of the housing. Just by way of dishin’ out a little extra info, Willys ain’t putting those CV-joint oil seals in the front axles anymore. Since they began using some Tracta joints, which require a bronze bushing instead of a seal to keep the axle centered, they’ve been using the bushing on all their front axles. It works okay with Rzeppa and Bendix joints, too. But if yours is a Ford-built jeep, it’ll have oil seals and Rzeppa joints, strictly. 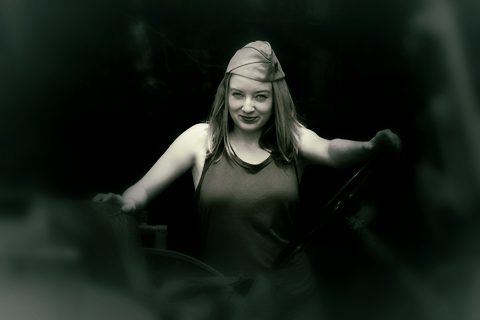 You might be interested in purchasing Military Maintenance for MB/GPW Jeeps 1941-45 for more details about WW2 jeeps. The world’s first “jeep” photographed with its builders as it is prepared to be driven to deliver it to the US Army for testing. I just love a legend, do you have one of them? Bantam BRC, Ford GP or Willys MA/MB? My first love will always be the underdog – Bantam BRC! 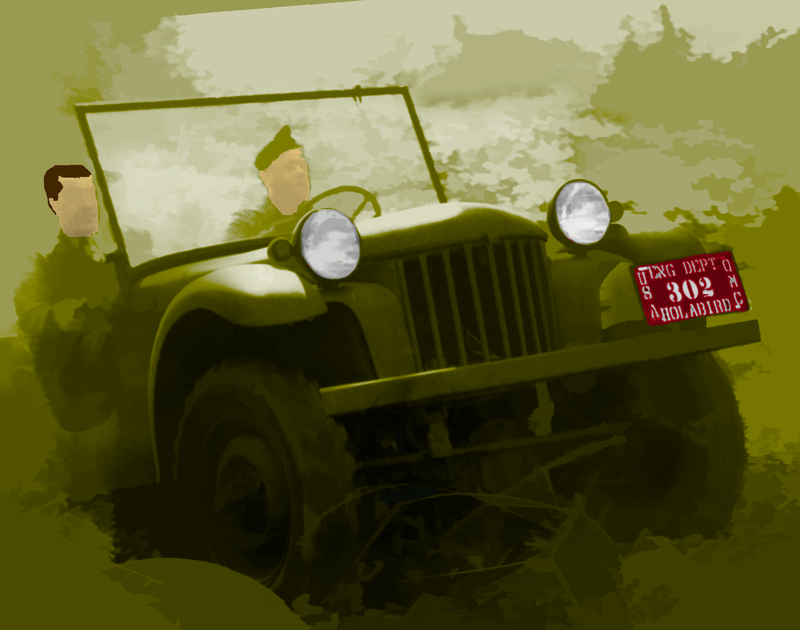 If you are interested in finding out more about the Bantam jeep, you might be interested in BANTAM, FORD AND WILLYS-1/4-TON RECONNAISSANCE CARS . Available from Amazon.com and other booksellers. A GI is dressed in a Santa Suit. Study of the photograph shows that the “face” of Santa is really a mask! Santa is delivering goodies to all the good little GIs in a 1941 Willys MA. Johnny wants a Thompson submachine gun. Billy wants a BAR. Charlie wants a case of booze. For more about the early jeeps, including the MA, you might be interested in BANTAM, FORD AND WILLYS-1/4-TON RECONNAISSANCE CARS . 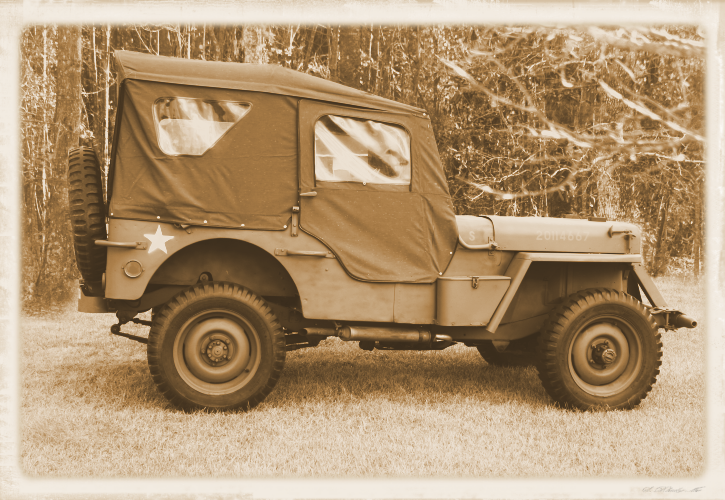 Be sure and check out our WW2 jeep site called 42FordGPW.com!